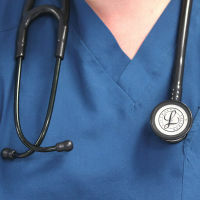 NHS commissioners could be slapped with a £2,500 fine for every patient left waiting more than a year for vital care, new proposals suggest. Officials at NHS England have set out plans for clinical commissioning groups (CCGs) and NHS care providers to face sanctions from the beginning of the new financial year in April. The proposals would see CCGs, which hold the purse strings for local NHS spending, become liable for financial penalties for the first time. Previously, only NHS providers such as hospitals could be fined, but the move would see the fines split to "give each an equal incentive" to reduce wait times. The fines will then be used to improve local services, as directed by regional NHS leaders. The latest figures from NHS England reveal that in November last year there were 2,432 patients waiting more than a year to begin treatment, the highest November total since 2011. The new rules are laid out in NHS England's operational and planning guidance for 2019-20, which sets out the expectations leaders have on the NHS for the coming financial year. It also sets a goal that no patient will have to wait more than 52 weeks for treatment in 2019-20. The new fines will be imposed subject to the outcome of the standard contract consultation which is expected in February. The consultation, published in December, said the new sanctions will be put in place from April this year and NHS England and regulator NHS Improvement regional teams will determine how the fine will be used. It said: "The aggregate of sanctions levied on the provider and the matched commissioner funding may then only be used at the express direction of the regional team, which will determine how it should best be applied to support local service delivery priorities." The NHS has failed to hit the national referral-to-treatment target of consultant-led care within 18 weeks of referral since February 2016, only achieving 87.3% in November. This means there were 527,677 patients who were waiting longer than the mandated time limit to begin their non-urgent treatment that month. But NHS England stressed that only 0.1% of patients were waiting more than a year, with 3.6 million beginning treatment within 18 weeks in November. If you're travelling with a medical condition and looking for cover, check out our range of medical travel insurance options.